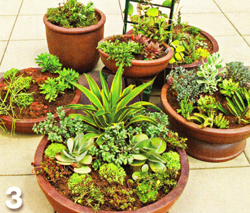 Here are instructions on how to plant an elegant and easy care container full of succulents that stand up to heat and drought. It's so tough trying to keep planters watered during the summer months that planting them with drought tolerant plants makes that process much easier. 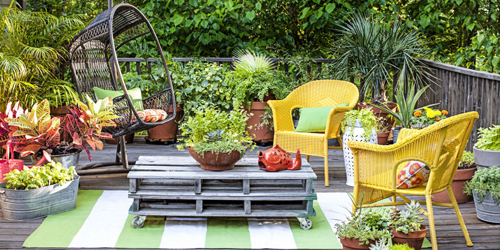 This arrangement is perfect for sun-baked decks and patios. And it's pretty throughout the growing season - especially if you mix annuals and perennials for lots of color and interesting texture. Start by selecting the planters that you wish to use for this arrangement. 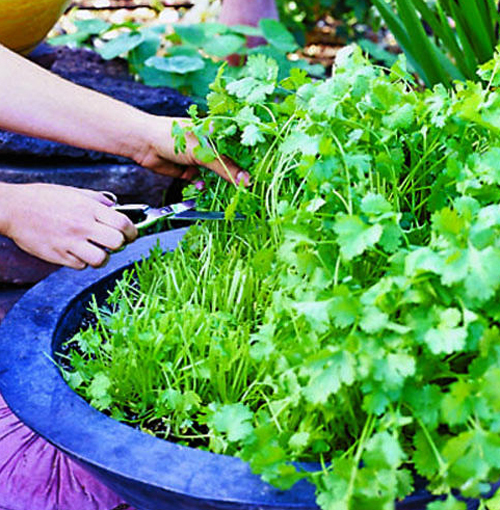 We recommend that you use a "High Fired" garden planter that is meant to hold up over time. This step will avoid having to re-pot your plants every year or so. 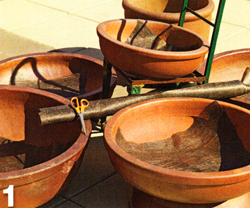 The planters in the photographs shown are the Vietnamese High Fired Black Clay Low Bowls. Make sure whatever containers you do use have a drain hole. Photo 1 - shows the bottom of each planter pot lined with landscape cloth. This helps to keep the potting soil from flowing out the drain hole and it still allows the water to drain off. As you can see a number of different sizes were used. This helps with adding depth and character to the final display. Photo 2 - Fill the planters with potting soil to about 2" inches from the rim of the pot. Set the nursery containers with plants where you want to plant them, on the soil so that you can see the arrangement in advance. 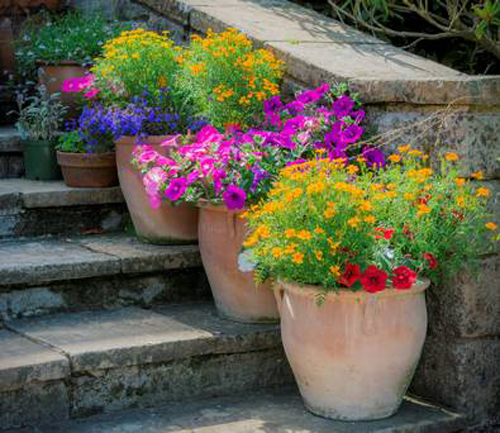 Make sure you take into account that you will want some plants to droop over the sides of the pots. Gently remove the plants and place them in the soil. Water right after planting with a gentle sprinkle. Read more.....How to make a "beach in a pot"
It is really easy to pot a special type of plant that will attract certain birds, butterflies and other desired garden friends. This particular pot has 3 plants that attract hummingbirds. Fingertips (dudleya edulis), Sticky monkey flower (Mimulus aurantiacus) and Jim Sage (salvia clevelandii). Each one of these can easily be found at your local nursery center. 1. Use one or more pieces of broken pottery to cover the drain holes to prevent soil from seeping out but allows water to drain through. 2. 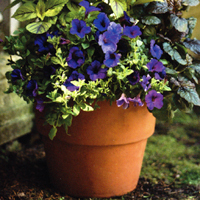 Fill approximately one quarter to one third of the container with high quality potting soil. This helps for plant growth. 3. 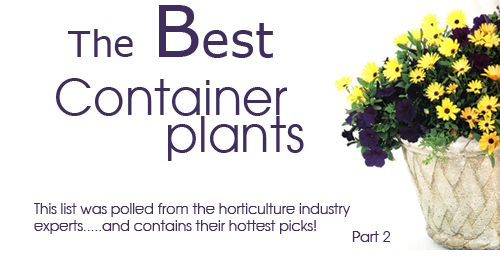 Arrange the plants listed above in the containers, placing the tallest plant toward the back. 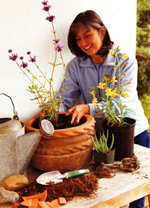 Add soil until it reaches 1/2" to 1" below the pots rim. Add decorative accents like driftwood, or seashells. Water thoroughly and watch them grow. These nectar rich native plants are lovely and the hummingbirds love them. Give them a try and let us know how they worked out for you! Read more....Birdie Buffets - one in 5 americans are bird watchers! 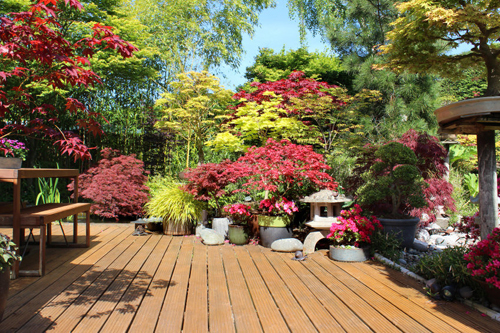 Read more....How to create a tranquil backyard. 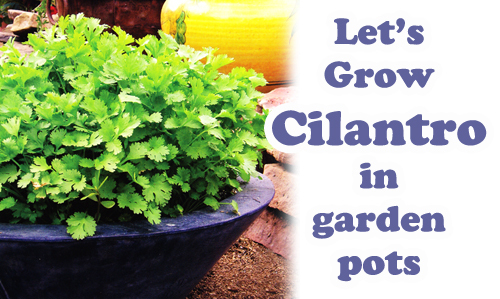 Wouldn't it be nice to have cilantro growing right outside your kitchen door in a lovely garden pot? Whenever you wanted to fix Mexican salsa or guacamole, or a Middle Eastern yogurt sauce for lamb kabobs, there the lacy, sweetly pungent leaves would be, ready to harvest. But if you have ever tried to grow it, you have probably noticed that cilantro yields a fast crop; plants are barely up before they try to flower and set seeds. So those tasty leaves aren't around long, especially in warm weather. To keep leaves coming, you can sow seeds every two weeks for a continuous crop. Or, even better, try the method we recommend. 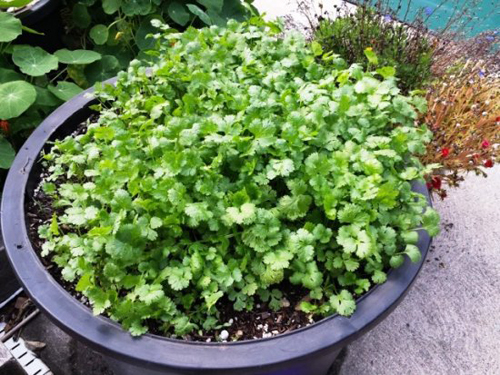 Grow cilantro as you would mesclun. Sow seeds thickly in a wide, shallow container or garden bowl then, as as plants are 3 to 4 inches tall and sporting a couple of cut able leaves, use scissors to cut off some foliage for cooking. Shear from a different section of the container ever time, rotating the pot as you go and never letting plants in any area mature. By the time you get back to the first section harvested, new leaves will have appeared. EASY! 1. 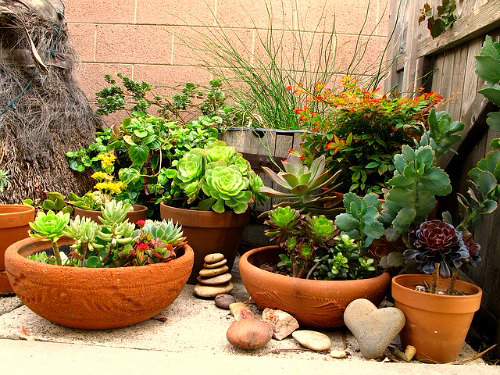 Select a bowl shaped planter pot at least 18" wide and 8" to 10" deep. Obviously the larger the better for a nice supply. 2. Fill the pot with a fasting draining potting soil and mix in an organic fertilizer. 3. Before seeding, moisten the soil using a fine spray from the hose. Because the seeds are fairly small, mix them in a bowl with sand so they will disperse evenly and not clump together. 4. Gently mist the soil so as not to displace the seeds. 5. Place the container in full sun and the seeds should germinate in 7 to 10 days. 6. Harvest according to the instructions listed above. It is possible to harvest 4 crops from a single pot. Click here to read about Herbs that heal. Click here ..... Grow your own backyard drugstore. 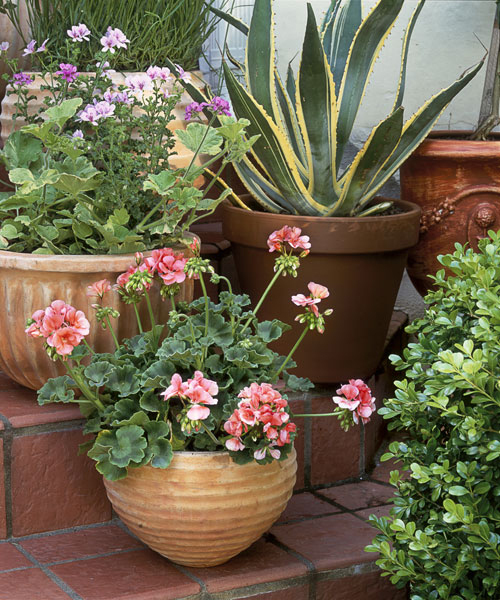 Here are a few tips on how to get the most from your potted planters! A. If possible, place containers within reach of a hose. They are in a sunny location, water at least once a day during the hot summer months. 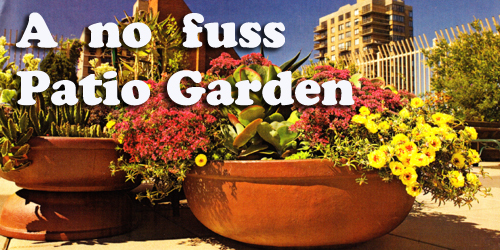 This is the most important step when it comes to successful potted planters. 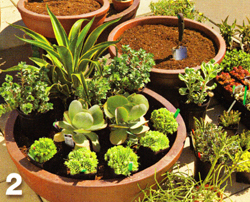 C. Use a potting mix designed for containers. 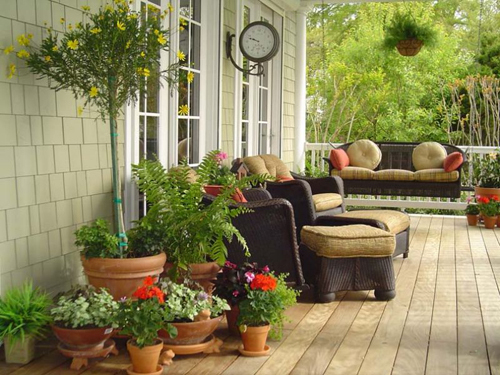 We know we keep harping on this one step but it is so important to successful and beautiful potted planters. 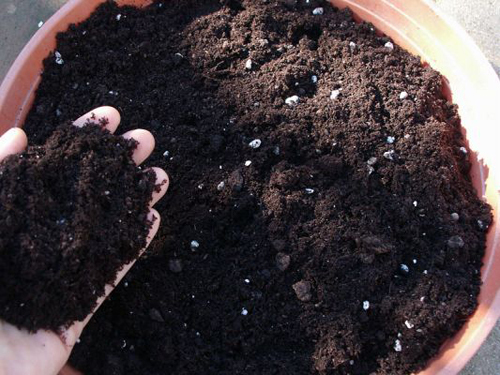 Don't fill the pots with just regular garden soil or compost. Check the label for ingredients. The best mixes include lime to balance the PH, controlled release fertilizer and water retaining polymers. D. Mulch the top of the containers with shredded bark, faux rocks, gravel or even small pine cones or seashells. It will dress up the pots and also reduce moisture loss. E. When you select several different types of plants for one pot, make sure they all have the same sun and water requirements. This really does help to eliminate further problems. F. Lastly, check the plants regularly to nip problems in the bud. 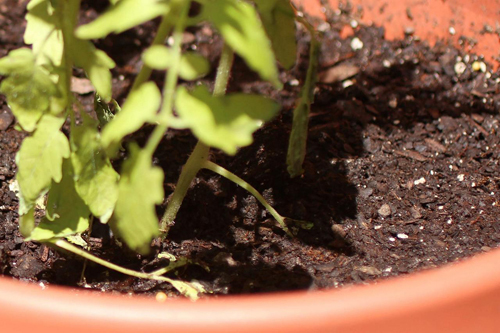 If a plant or container is harboring pests or disease, remove it immediately. These are basic steps but can easily be forgotten. Hope this helps! Read more......Great ideas on how to make a container for shady areas! Read more......How to repot a plant with great success. love the photos. really beautiful! 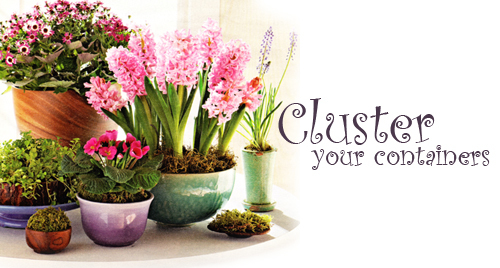 Increase the impact of garden containers by gathering them together in clusters and groupings. It's easy and here are some tips. Choose the right container for your pottery needs. Size, shape and color are all important and should be taken into consideration when deciding where to start. You don't want a conflicting color palette with the color of your home or patio cushions. When it comes to size make sure you scale where you intend to use them. A small 6" pot, placed on each side of a entry door won't make much of an impact, but place them together on a patio table and they make a lovely and functional display. 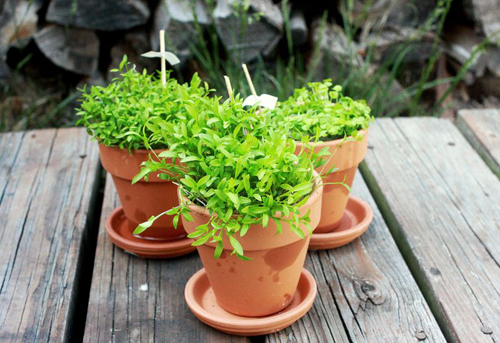 Fill with herbs and create a herb garden with each pot holding a different type of plant. Play the number game. Groups of containers look better in odd numbers such as 3, 5 or 7. But some truly compliment each other when placed in pairs. These look stunning on each side of a home entry and should look like twins when it comes to not only colors but types of plants used. Bring home unity. 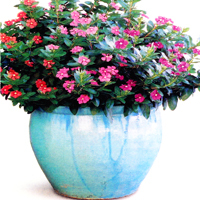 Similar pots with similar colors help everything to appear unified and not all "willy-nilly". This doesn't mean identical but clusters that share a similar style but have different diameters and heights. We love it when you take all white planters and display them together. Make each one a different style, height and use different plant materials and you will still have a unified look that is outstanding. Plants & colors are both vary important elements to consider. 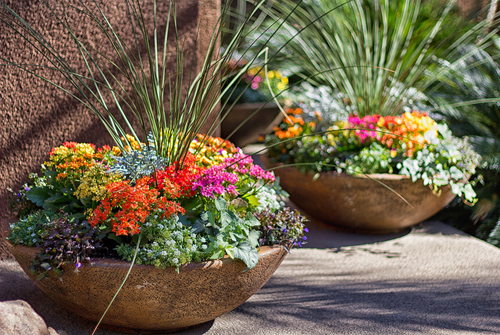 Choose plants that flower and add foliage to give your containers a balanced look. Try to make sure that their needs for air, water and fertilizer are similar for the most success. Concerning color, try to avoid the zoo effect where there are lots of individual specimens that don't go together. Try to keep your color theme cohesive and soothing. Lastly, set the stage. Don't just use clustered containers outside. Place them inside your home as well. Place on steps, around elevation areas, where you want to draw attention to focal points. Hang them on bare walls, use them to conceal unsightly views, or soften empty corners. Vary the heights and you will find great "eye appeal and character. 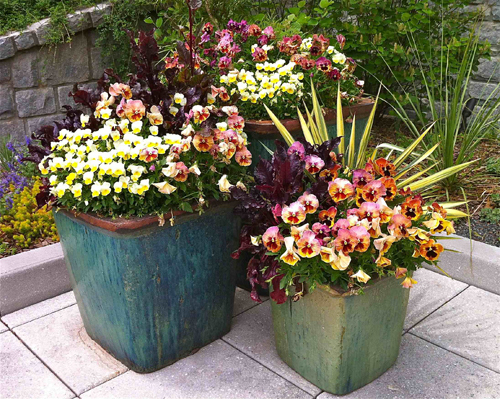 Read more.....Tips for creating great containers. Read more..... 5 Tips for success with tabletop container. Plants have different needs and they are based on many different things. Things like planting in the ground or into a garden pot. Their access to light, water and fertilizer are all major considerations when you want to assure gardening success. Below is a list of favorite plant materials that thrive in a garden container. Some you may recoginize but many are fairly new and exciting to experiment with. Since we have so many to share we have divided this up into two blog post. Don't miss part 2 and then let us know what you think? 1. Osteospermum 'Lemon Symphony' (shown above)these plants can stand a little night warmth. They are a annual that grows to 14" tall and is noted for it's prolific blooms and tolerance to extreme heat and light frost. 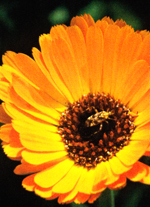 The daisy like flowers feature a distinctive dark purple eye and halo. 2. Plectranthus 'Mona Lavender' move this potted plant indoors for winter enjoyment. It is a tender perennial that grows to 24" tall so use a large container. 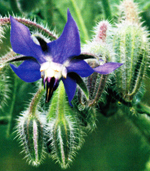 It has lustrous, dark forest green leaves with contrasting undersides that are a rich violet purple. It loves full sun, well draining soil but you should move the container inside before the first frost. 3. Tropaeolum majust 'Creamsicle" A lovely nasturtium that offers a wonderful orangy treat. It truly looks like a swirled orange sherbet and vanilla ice cream with a sprinkling of red provided by throats that are etched in deep crimson. This annual cottage garden flower is easy to grow directly from seed and it thrives without extra care in full sun and well drained soil. Stunning in pottery! 4. Petunia 'Supertunia Royal Velvet' This sweet plant deadheads itself. It is a cute annual that grows up to 10" tall so great for all pot sizes. This vigorous, ever blooming trailer has large, velvety and sweetly fragrant purple flowers that attract butterflies & hummingbirds. They grow fast and self clean by shedding spent blossoms. We love this plant in window boxes, hanging baskets and patio pots where full sun and moist soil are available. 5. Cuphea cyanea These lovelies attract hummingbirds with their bright color and cigar flower shape. A tender perennial that grows to 15" tall, this plant is stunning. It blooms ceaselessly from spring until frost, producing hundreds of hummingbird attracting, inch long tubular blossoms. The flowers are bright pink, tipped with yellow and topped with tiny purple petals that look like little ears. Use this plant to soften container edges or to fill space around plants of bolder texture. Read more suggestions in "The Best Container Plants - Part 2"
Read more..... Growing chili peppers in planter pots. When you grow such robust plants in your garden soil, it would lead you to believe that you could use the same soil with success in your potted planters! Unfortunately that just isn't the case. Garden soil doesn't offer enough air, water or nutrients to a plant growing in a garden pot to assure success. Potting soils used in planters are a special mix that can overcome these situations. It is so important that the soil provide the root systems of your plants and flowers with access to air so that water can drain away from them and not pool on the bottom of the planter, despite drain holes. The more compact the soil the less water will drain off. The the ultimate problem will exist: root rot! By adding loose fill like perlite, and sand to garden soil it helps to keep the soil from clumping and forming hard clots. 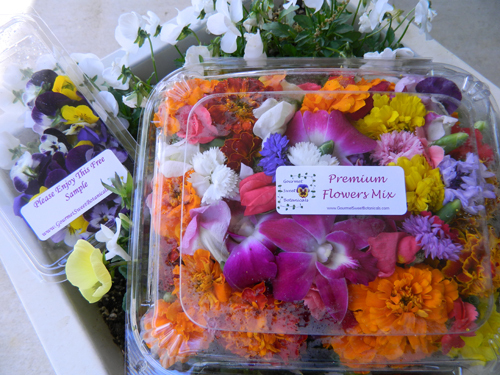 The simpliest way to get the right mix is to purchase potting soil from your local garden center that will contain the right amount of ingredients. But, if you want to mix your own we have a basic formula that works. This step is so important for great pottery growth. Dolomite, green sand, kelp powder or rock phosphate. 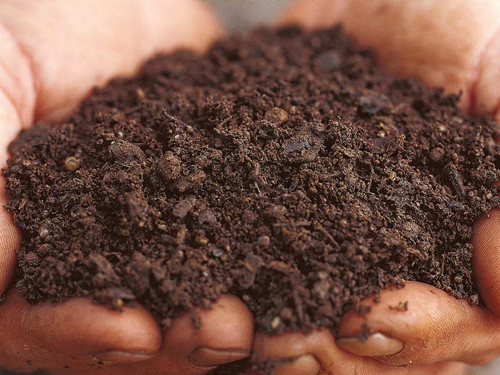 Sift the garden soil and peat moss to remove clumps. Then add the remaining ingredients and mix with hands or shovel. What you are looking for basically, is a positive environment for the plants root system so that you grow the most healthy plants and flowers possible. 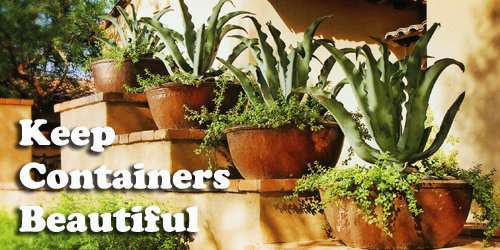 Keep the soil in the planters loose and crumbly. Once it gets packed down at the end of the season you need to re-sift it or replace it. 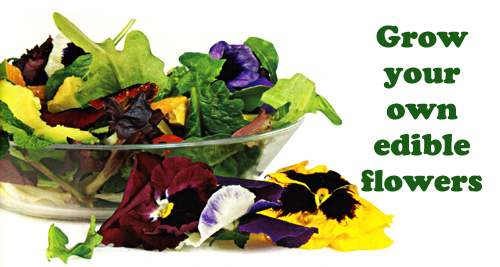 The health of your garden depends on it.